Stylish green front zip plus diamond sheet border work. 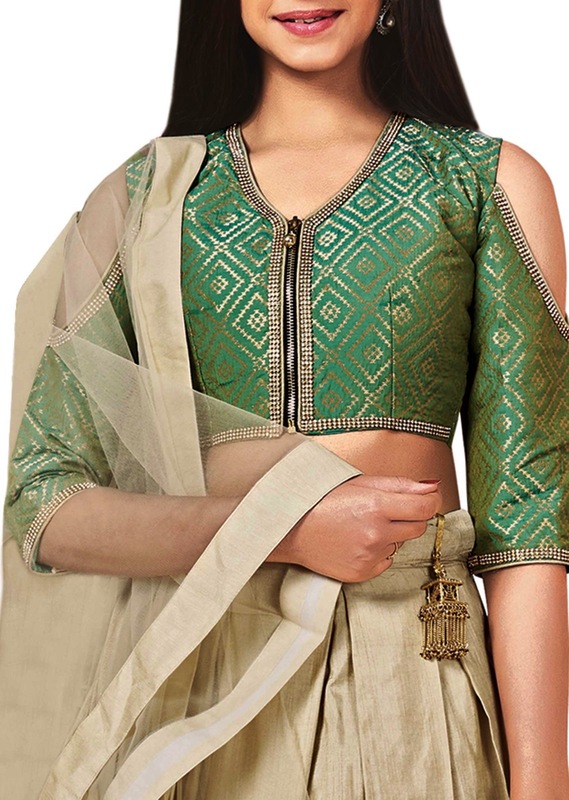 cold shoulder choli made of two tone silky square pattern printed jacquard. 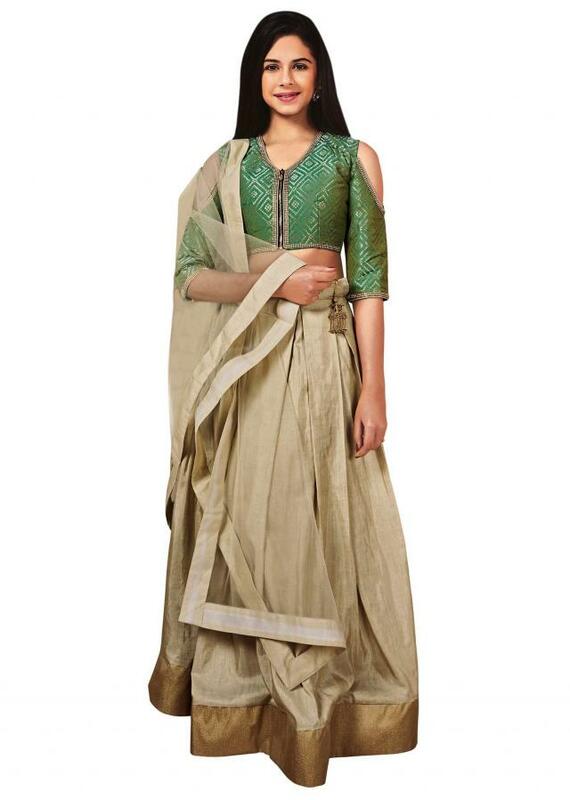 Off white lehenga made of banarasi silk with lace.